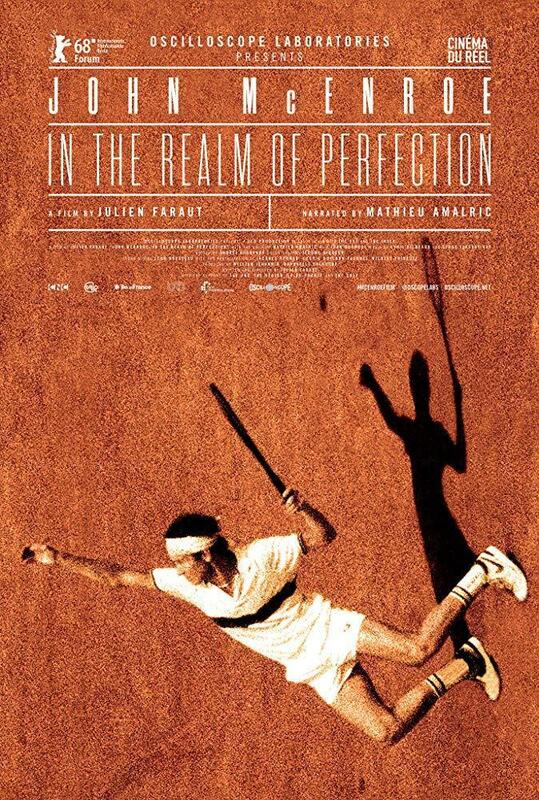 A study on the body and movement, on tennis and the cinema as reflected in analogue technology. "Game, set, match — even if the win's a tad exhausting (...) As a unique portrait of competitive drive, this is fascinating stuff." "A fascinating essay on the kinship between tennis and filmmaking (...) [A] elegant, witty, and thoughtful documentary"
"Faraut stumbles (...) [It] is worth watching purely for the simultaneously immediate and dreamily distant footage of de Karmadec's footage (…) Rating: ★★ (out of 4)"
"A witty and contagiously impassioned ethnographical study of the game"
"Faraut’s film is less a biopic and more a thesis about human psychology, which takes in ideas from both cinema and science." "A fascinating documentary on the world of tennis, the art of movement and the interior workings of the game, starring the iconic John McEnroe."